what are we afraid of and who’s to blame? Or… Is having an ordinary life thought to mean it’s a meaningless life? Its awkward and difficult when I’m put on the spot sometimes. Getting past that was something of a triumph as I grew in my career; but that wasn’t all there was to it because somewhere along the line, I began to wonder too if vulnerability is our most accurate measure of courage. This topic is deep. I had no idea just how much I’d learn by review of my life’s experience while listening to this one hour video — oh my! Actually, I watched it twice. If someone said “What’s the difference between shame, guilt, humiliation, and embarrassment?” would you be able to respond with knowledge — the knowing from your experiences what’s the difference — the crux of what’s the struggles of lifelong learning? Never mind what is in the books. Catch the first question/answer? Its a doozie! Each question/answer is fantastic… hope you can see it all. or earn, being real gets dicey. Do I hitch my self-worth to what I do/did? Hmmm… actually, I’m practicing not doing this. I began before the video — THANK YOU GOD! THIS VIDEO IS REALLY GOOD! “Our capacity for whole heartedness can never be greater than our willingness to be broken hearted.” Follow the research — try it out in yourself. A best-selling author and award-winning educator, Dr. Brown’s books and talks have been hugely influential in tackling the myth that vulnerability is a weakness. She argues that it is only by embracing vulnerability and imperfection that we can live life with courage and authenticity. Recognizing and acting on this insight has the power to transform the way we engage in our families, organizations, schools and communities. 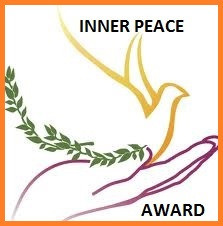 is devoted to creating social progress and spreading world-changing ideas. Thank you for taking time to consider this. I think holding on to blame is a huge problem that greatly inhibits health. 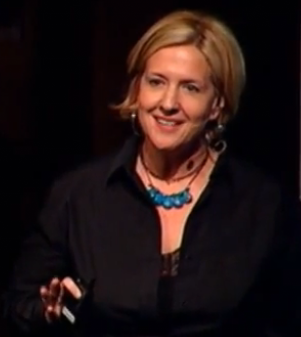 Brene Brown is so inspiring. Thank you for sharing. Dr. Brown’s words ring true…only by embracing vulnerability and imperfection can we live life with courage and authenticity” I would go one step further and add…only then can we truly love our self and others. I was raised to be proud and not show my vulnerable side…only after years of de-conditioning was I able to open up and be my authentic self. Great post, Eric! Nice blog piece. Spiritual topic in a secular world- so true 🙂 Hopefully the message doesn’t get lost because of it.